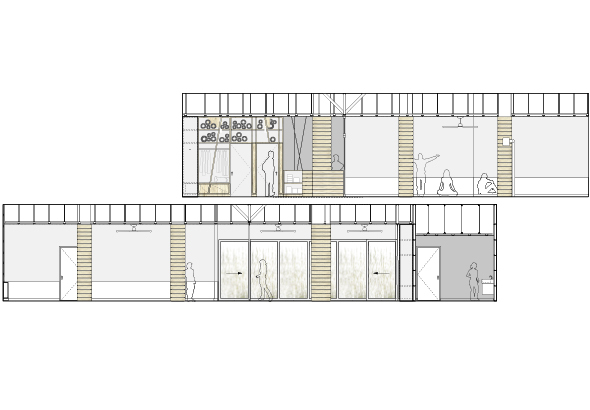 A mother and daughter, with a strong passion for the practice of yoga, located a space for an inviting studio on New York’s Upper East Side. 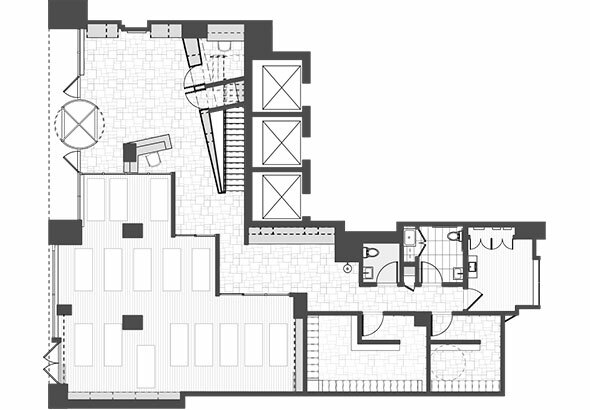 By creating a new opening in the existing floor slab, a stair was built to connect the ground level and cellar space of the building. 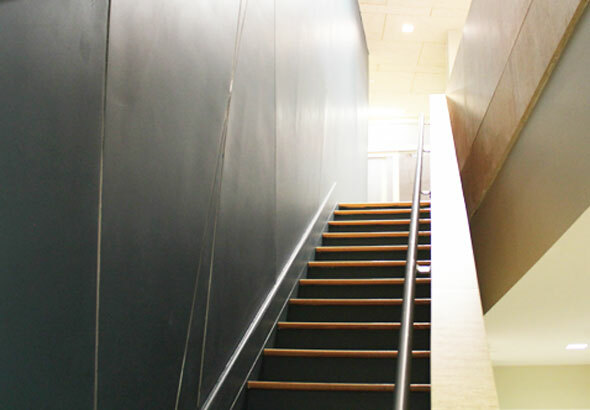 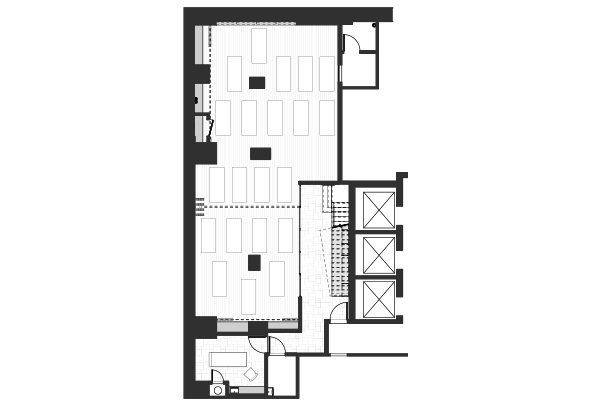 Sliding partitions were designed to increase the flexibility of the large exercise rooms, allowing for several personal and group yoga sessions to take place at once. 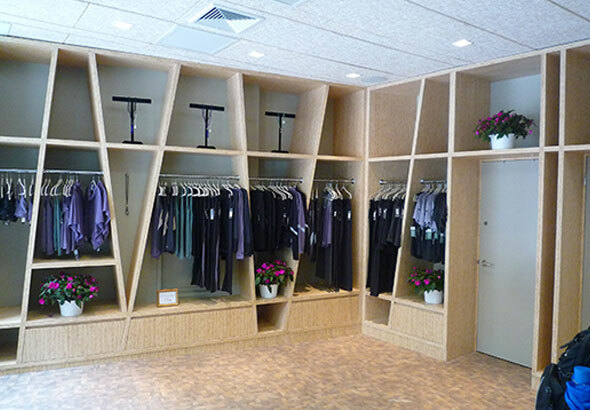 Custom millwork creates retail displays and ample storage throughout. 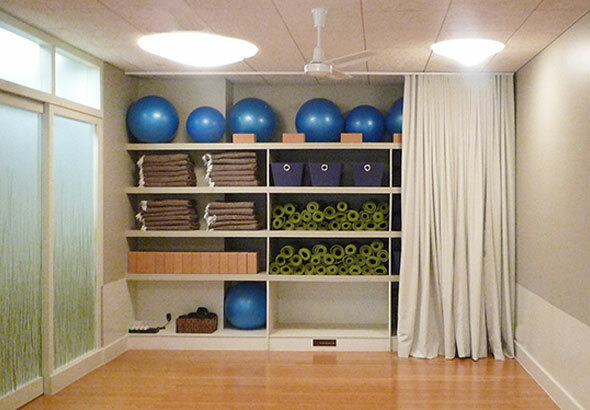 Calming colors and materials allow yogis to practice in a serene and tranquil environment.